This was the GEIDAI ARTS festival in Marunouchi that professor Junji Ito, deputy director of the Tokyo National University of Fine Arts and Social Collaboration Center, produces every year. I designed a flyer for announcing one of the events during the festival. It is a very powerful photograph, and I heard that the child in the photograph is Mr. Kasai’s Italian Photographer friend’s child. I also made the logo for the event. In order to express the relationship between the mother and the child, I gave the flyer a geometric, but easy feeling. 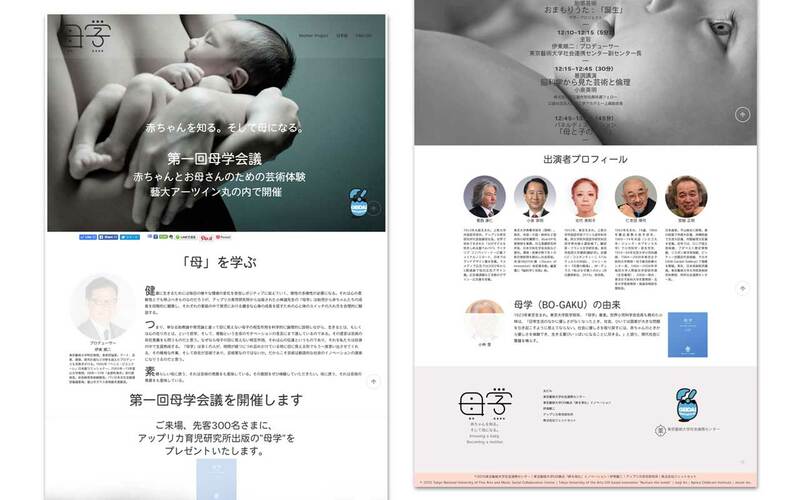 I also put together the website for the Mother Studies event.